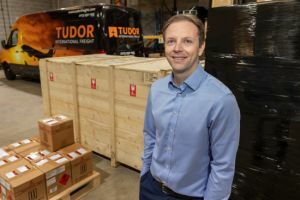 The so-called Malthouse Compromise may not end the current Brexit impasse, warns Adam Johnson, director of Leeds-based Tudor International Freight. He says that the proposed blueprint for the period following UK withdrawal from the bloc, which had emerged in recent days, was unlikely to be adopted for various reasons. Johnson explains: “Plan A would involve the UK ‘buying’ a 12-month extension to the proposed ‘standstill’ transition period, currently due to apply between Brexit day next month and December 2020. Johnson said Plan B would also involve the purchase of a transition period lasting to the end of 2021, with citizens’ rights protected, to provide more time for the parties to prepare for a no-deal divorce. Johnson, however, said there were flaws in the plan and therefore reasons for UK businesses trading with the EU to believe it would not take effect. He added that the EU had also stated repeatedly that it regarded the current draft withdrawal agreement as finalised and not for re-opening.